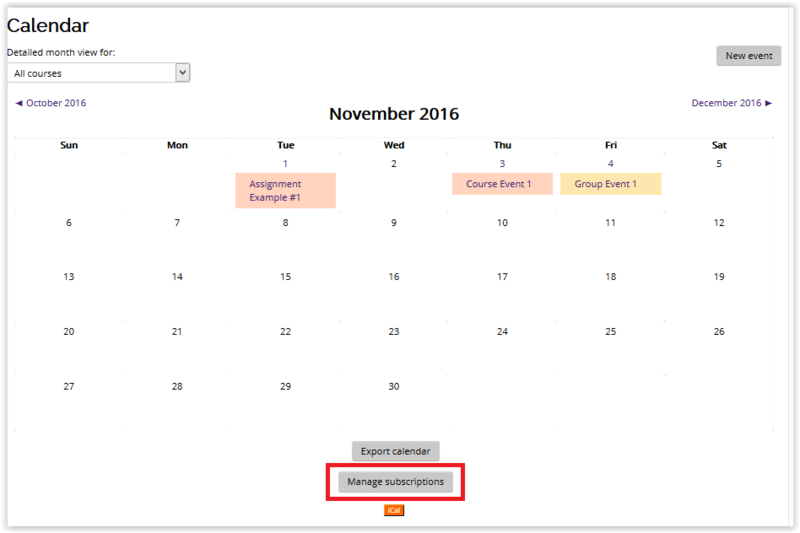 External calendars (such as Google Calendar, or a calendar from another Moodle site) can be imported into Moodle's calendar via the iCal standard. 2. 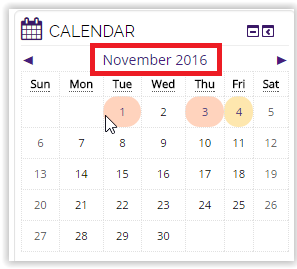 Click the Month on the Calendar to get an expanded view. 3. Select Manage Subscriptions at the bottom of the screen. 4. You will be directed to the Import Calendar window. Enter your Calendar Name. 5. 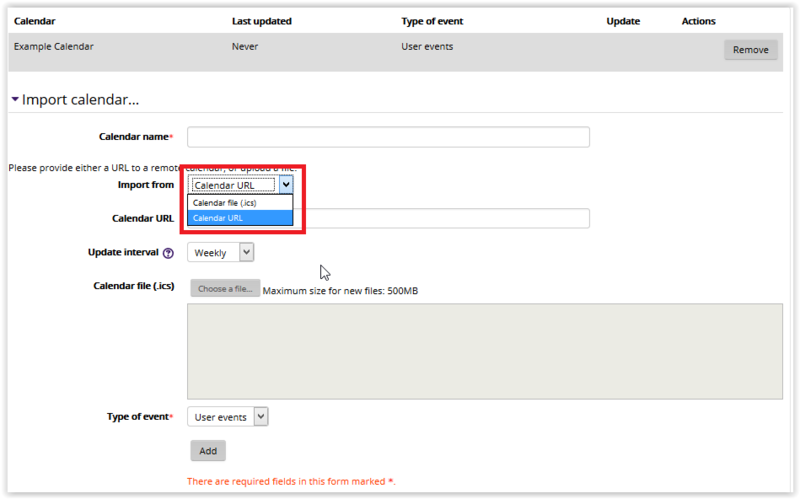 There are two options to import your calendar: Calendar File or Calendar URL. 6. 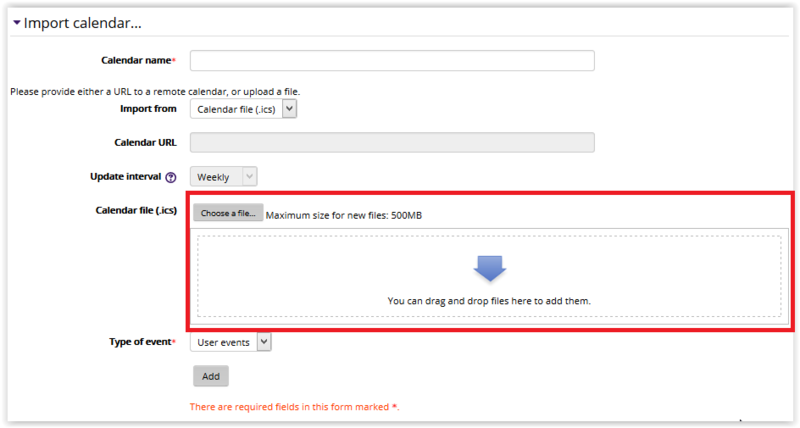 If you select Calendar File, you can choose a file using the Choose a File button or the drag and drop method. 7. 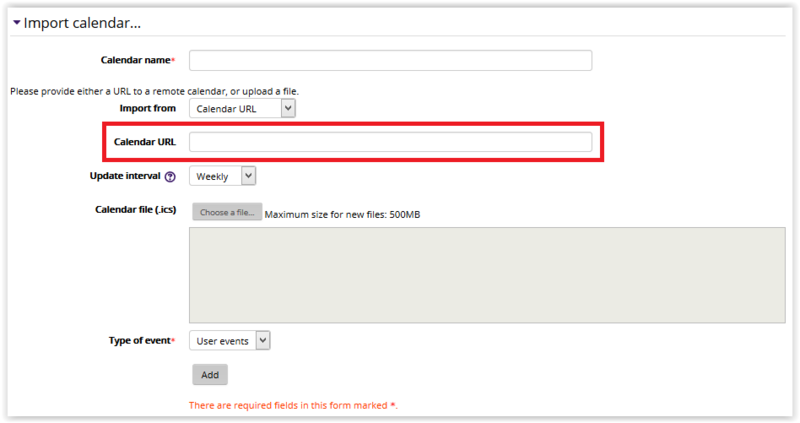 If you select Calendar URL, enter the URL into the Calendar URL fieldbox. 8. Choose the rest of your preferred settings. 9. Once you have finished, click the Add button at the bottom of the import calendar window.